Lyme disease and mold illness have nearly identical symptoms. Due to this, it is common that patients diagnosed with Lyme disease are actually suffering from mold illness. This article will discuss the relationship and similarities between Lyme disease and mold illness. Molds produce allergens, irritants and in some cases, toxins that can cause reactions in humans. Symptoms depend on the type of mold present, the extent of exposure, the age of the individual and their sensitivity. Common symptoms of mold illness are skin irritations, allergic reactions, aggravated asthma symptoms and shortness of breath, persistent sinus issues, fatigue and weakness, headaches, depression, aches and muscle cramps, disorientation and confusion, word recollection issues, as well as focus and concentration problems. Contact We Inspect If you notice, there are many similarities between Lyme disease and mold illness symptoms. Lyme disease development can happen by a tick, flea or mosquito bite that hosts the disease. Development can also happen in utero or human to human contact via breast milk or sexually. The most common symptoms of Lyme are skin rashes, severe fatigue, achy, stiff or swollen joint, headaches and dizziness, fever, night sweats, cognitive decline, sensitivity to light and vision changes, neurological problems, ranging from balance issues to stiff neck, heart problems, mood changes, irritability, anxiousness and depression, as well as unexplained pain. 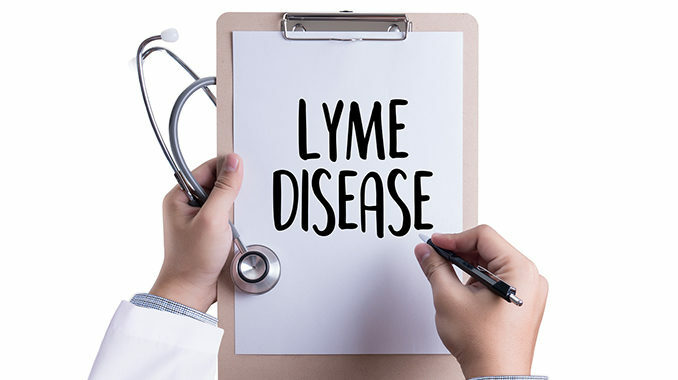 Many Doctor’s are realizing that patients who do have Lyme disease are even more susceptible to mold sensitivity and mold toxicity due to weaker immune response and immune deficiency, commonly caused in patients suffering from Lyme. In some cases, Lyme disease carriers cannot methylate toxins from their body allowing toxins to build up in the bloodstream. Some Doctors believe that Lyme disease and mold illness inter-connect, and consider mold illness as a co-condition of Lyme. Chronic Inflammatory Response Syndrome or CIRS is a condition that Dr. Ritchie Shoemaker, a well recognized leader in patient care, research & educator in the field of biotoxin related illnesses, believes 25% of the human population could be susceptible to. Often, Lyme leads to the the development of CIRS. Additionally, mold illness can prevent Lyme disease treatments from working. If you are undergoing treatment for Lyme and still unwell, mold illness could be an underlying issue. This is especially true since the symptoms are so similar. Though you may not expect a relationship to exist between the two conditions, they often co-exist. Mycotoxins, the byproduct of mold, are harmful on their own, but can be detrimental for people suffering from chronic Lyme. Many Lyme disease professionals consider biotoxin illness to be a co-condition of the disease, as well. Since mold is one of the most common co-conditions for Lyme sufferers, it is not rare for patients to also have mycotoxin toxicity. Mycotoxins release into the air, causing inhalation. Dead spores are just as dangerous as live spores and mycotoxin illness will also prevent Lyme treatment plans from being effective. Unfortunately, patients with CIRS are often misdiagnosed because symptoms mimic those of other disease, such as Fibromyalgia, ME or Myalgic Encephalomyelitis, commonly known as Chronic Fatigue Syndrome, Lupus, Multiple Sclerosis, Rheumatoid Arthritis, or Sarcoidosis. This can be frustrating and can prolong treatment options that actually are effective. Most patients that suffer from Lyme are never even aware they are bitten by an insect hosting the disease. This could make diagnosis even more difficult. The type of virus a Lyme disease patient has could also cause difficulty in detecting Lyme in the bloodstream. Recently, urine screening has become a more accurate way of testing for the disease. If detection occurs in the early stages, Lyme treatment can happen with a round of antibiotics. Depending on the virus, prescription can last for a year, or even longer. Once the patient finishes the antibiotics, symptoms often return because Lyme is still present in the body, making this type of treatment temporary and often not covered by insurance. President George W. Bush, Marla Maples, Avil Lavigne, and Yolanda Hadid have openly spoken about having Lyme disease. There is currently a petition at change.org with statistics and information about CDC and Lyme. Estimates vary between 300,000 to 1.5 million new cases diagnosed each year, making it the fastest growing infectious bacterial disease in America. If you are suffering from Lyme disease, or any of the illnesses listed above and are not seeing any improvement in your health with your treatment plan, you may want to consider testing your home for mold. How Does Mold Testing and Inspection Work? So you contact American Mold Experts for an appointment. A qualified inspector from a 3rd-party lab is then scheduled to perform the mold testing and inspection. We will schedule him at a date and time that is convenient for you. The inspector will arrive at your home in an unmarked car. We know having a mold problem is not something you necessarily want your neighbors to know about. The inspector will talk with you for a few minutes to explain the mold testing and mold inspection. He will also have some questions for you to help him understand what possible issues there are that could be conducive to mold growth.